Saquisili is a town in the Cotopaxi Province of Ecuador. Sasquisilí is located about 25 minutes from Latacunga and 2.5 hours from Quito. The town, located off the Pan-American Highway, is best known for the local market held in its eight plazas on Thursdays. 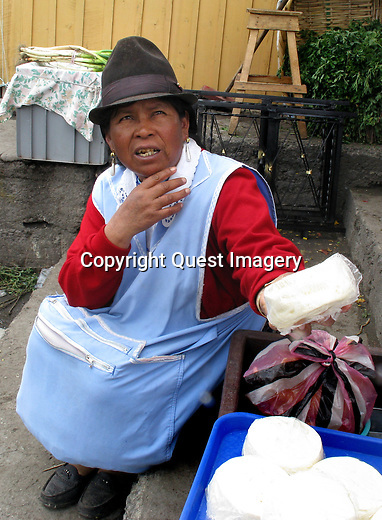 Unlike Otavalo, the market is mainly for locals from the highlands who come to buy pots and pans, electronics, herbal remedies, livestock or produce. There is traditional food available, but the market is still based around indigenous life rather than the tourist trade.